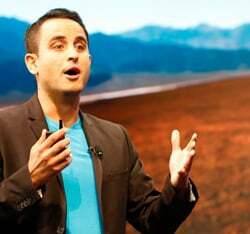 Paul Angone, best-selling author, national speaker, and leading Millennial voice brings a unique blend of passion, hilariousness, and insight to captivate audiences like few can – whether on TV, radio, or speaking on stage. He shares secrets on how thrive in today’s new economy that are relatable to all ages. Also as being one of the leading experts in the nation on the Millennial Generation with a master’s degree in Organizational Leadership he shares the secrets to leading, engaging, marketing to, and retaining Millennials. 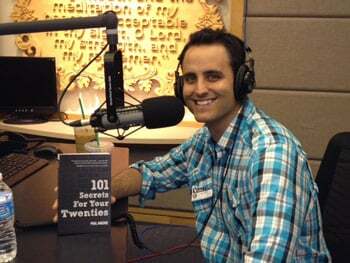 Paul Angone is the voice to, and for, the Millennial Generation. 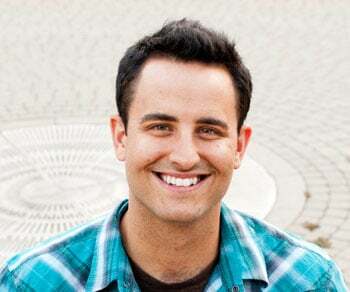 He is the author of the newly released All Groan Up: Searching For Self, Faith, and a Freaking Job! (Zondervan) and 101 Secrets For Your Twenties (Moody). He is also the creator of AllGroanUp.com, which has received millions of views from 190 countries. Paul has proven time and time again that he knows how to create sticky, highly shareable content for the 90 million+ that make up the Millennial Generation with articles like 21 Secrets For Your 20s and 25 Signs You’re Having a Quarter-Life Crisis spreading like internet wildfire. Paul has also spoken to over 15,000 millennials nationwide and he has master’s degree in Organizational Leadership where he focused his research on emerging adulthood and the Millennial generation. Tips and strategies for feeling at home in your “groan up” pants that are relatable to all ages. Statistics that will shock your audience about the challenges facing Millennials. 3 tips for effectively leading, engaging, and parenting Millennials that they’ll never tell you. Why 97% of Millennials suffer from what I have coined as The New OCD – Obsessive Comparison Disorder. What is it, why it’s so harmful, and how you cure it. 3 common reasons college graduates are failing to launch into the real world, and what parents, leaders and Millennials can do to help cushion the crash. Why twentysomethings are struggling to become adults. Plus…he can lightening round many more secrets for being successful in your twenties that NO ONE else is talking about. 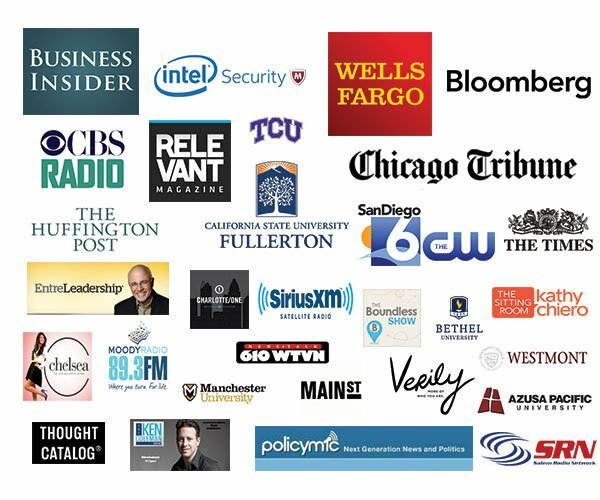 Paul Angone has been featured in Bloomberg, The Chicago Tribune, Business Insider, EntreLeadership with Dave Ramsey, The Huffington Post, SiriusXM radio, Main St., The Chelsea Krost Show, PolicyMic, Collegiate Magazine, The Ken Coleman Show, Thought Catalog, Love and Respect NOW, Verily Magazine, People of the Second Chance, Life After College, etc., with viral article smash hits on Relevant Magazine. My twenties were like the new puberty—awkward, sweaty, weird, and life-changing, except no one warned me about them. Paul Angone’s voice in is not just a warning; it is a conversation, a pep talk, wisdom mixed in with funny stories, and encouragement that not only can you survive this groan-up life; you can live it well. Paul Angone must live inside my house regularly filled with twentysomethings. He gets this generation like few people I know. This book is hilarious, insightful, brilliantly written, and filled with wisdom. Don’t miss the opportunity to give this book to any young adult you know. They will read it because it’s practical, and when they finish the book, they will call it enjoyable, insightful, challenging, and even life changing. Life will never feel like it’s supposed to. That’s just one of the many motivating gems in Paul Angone’s 101 Secrets for Your Twenties, which is the mid-to-late Millennials’ answer to the Quarterlife Crisis. 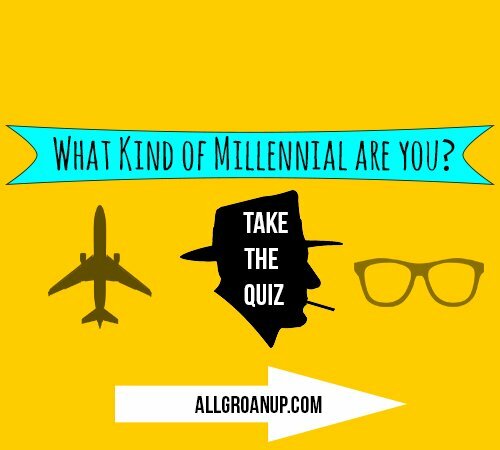 As a companion to Paul’s successful website, AllGroanUp.com, the book gets to the heart of the worries on every twentysomething’s mind and addresses them with straight-talk and humor. This book is funny, heartfelt, and important. 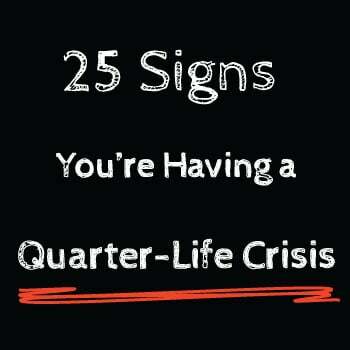 Your twenties are a time of life that most people tend to glamorize or dismiss. Paul does neither. I especially liked #6. I love this book. 101 Secrets for Your Twenties is like a concentrated blender-shot of fluorescent green, ice crystally advice, insight, and wisdom. Toss your head back and enjoy the cold jolt. 101 Secrets is a masterpiece. 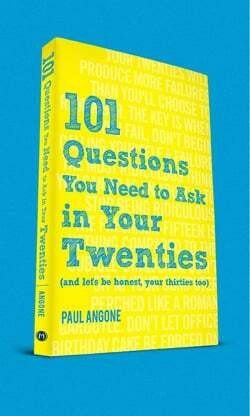 Full of brilliant advice wrapped in belly-laughing hilarity, Paul Angone has a true gift for troubleshooting the trials and tribulations of post-grad adulthood. This book is a must-read for twentysomethings and beyond who are struggling with how to navigate in today’s hyper-connected, chaotic world-and the book itself is formatted as a fun, engaging page-turner. Paul promises “wheelbarrows full of wisdom-stuffed pearls, laced with humor and vulnerability,” and that’s exactly what you’re going to get. Just don’t ask him to whip you up a Venti half-caf 2.5-shot sugar-free-vanilla no-foam upside-down latte. Paul gives humorously wise insights that will give twentysomethings a sneak peak of what’s to come, perspective that will help them breathe and the reality that they aren’t alone. My top three . . . er . . . sixteen were: #2, #3, #7, #9, #18, #21, #24, #38, #47, #77, #80, #84, #87, #95, #100 and #10’s nineteenth point made me say, “TRUTH!” out-loud. Being the ripe 30-year-old that I am, you can trust me. Paul is an emerging voice for this generation. He understands the unique struggle of those going through the rocky, ambiguous, thrilling decade of their twenties and has a gift for delivering rock-solid truth packaged in laugh-out-loud humor. Paul knows twentysomethings. He shares secrets that are really gold, even to non-twentysomethings. Gold to understanding twentysomethings. Gold to understanding today. Understanding this generation. Understanding your kids. The book helps me be a better father . . . a better pastor. I feel more prepared. Don’t tell my boys-or the young people at my church. It’s supposed to be a secret. 101 Secrets is the perfect mix of humor and wisdom. I read it in a single sitting, but the insights will stick with me for a long time. My favorites are #2, #5, #33, #71, #81 and #97 (plus several more but I was only allowed to pick a few). Where was this book when I graduated from college? 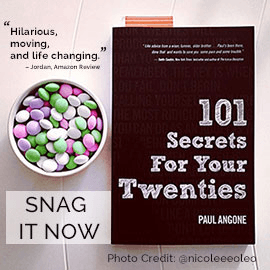 What Paul Angone has done in 101 Secrets for Your Twenties may well be the definitive field manual for post-graduates. He’s a gifted writer, blending humor, stories, truth, and advice in a way that makes anyone the wiser for picking this up. Best of all, he helps young people lay a foundation for success later in life. If you don’t believe me, then read #7, #19, or #61. I always tell people that I’m enjoying my 30s way more than my 20s and now I know why: I didn’t have this book! Secrets #21 and #36 alone would have helped me through so many situations. I can’t tell you how happy I am that this book exists for the next generation! As a recent escapee of my twenties, I wish I had been given a book like this when I graduated from college. In an age when we are led to believe that a college diploma is a winning lottery ticket for a dream job, and uber-success is as easy as writing the perfect status update on Facebook, Paul’s book is a fantastic, fun, and above all true guide for the often frustrated, fearful, or just flat broke twentysomething. Keep a special lookout for secret #8, #21, and #76. Secret #76 has been pretty much the last ten years for me. 101 Secrets for Your Twenties is a refreshingly honest compilation of life truths. 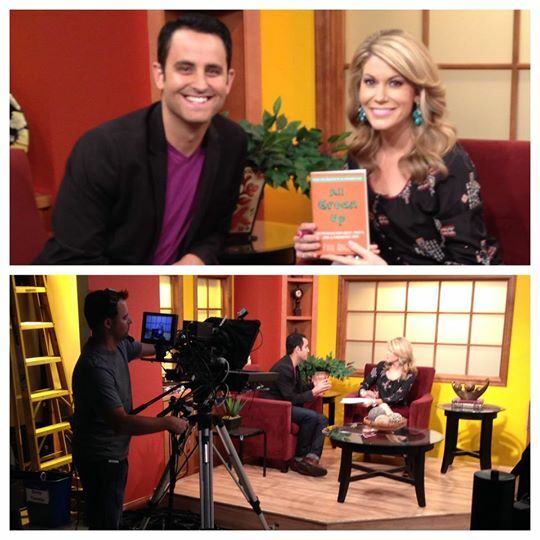 Paul Angone has cleverly put into words our twentysomething experience, yet with a passionate andpurposeful goal of helping young adults navigate this unique stage in life without regret. If you’re like me, you’ll laugh (especially at secrets #5, #17, and #44), ponder (secrets #29 and #43), and say a lot of “Amens!” along the way (secrets #1, #21, and #53).